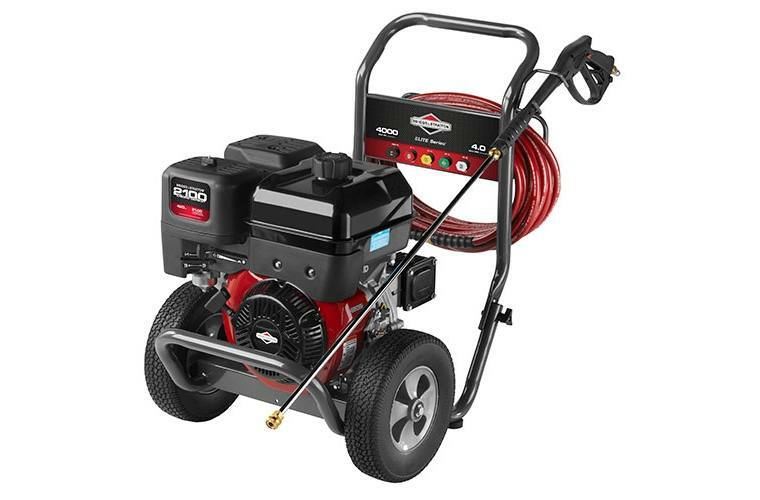 From aggressive stain removal and paint prep to delicate cleaning of patio furniture, you can maximize your cleaning options with this top-of-the-line Briggs & Stratton 4000 Max PSI* Elite Series™ pressure washer. 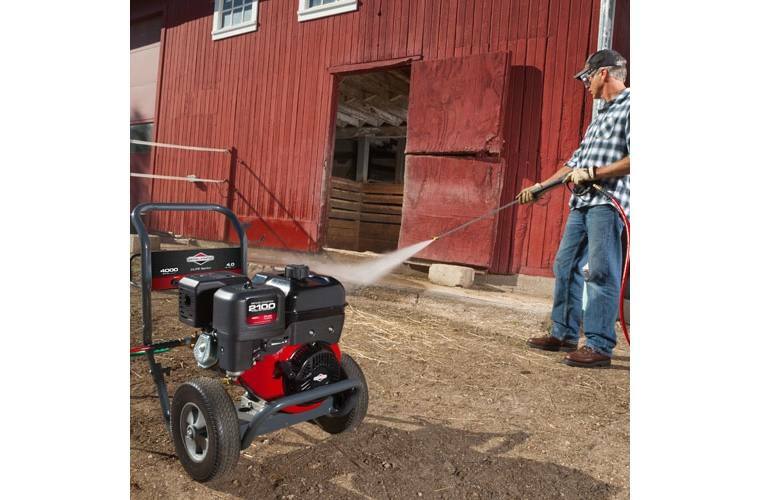 It combines the most powerful engine in our line-up — a Briggs & Stratton 2100 Series™ — with a premium Annovi Reverberi™ Triplex pump and five Quick-Connect spray tips to give you unmatched cleaning power, performance and versatility. Premium Annovi Reverberi™ Triplex Pump: This pump is specially designed for high-performance, high-pressure output and long lasting durability. 5 Quick-Connect Spray Tips: Quickly and easily switch between three high-pressure pre-defined spray patterns from pin-point to wide fan (0, 25, 40 degrees) for precise cleaning, plus two second story nozzles (soap and flush). Long-Reaching 50 ft. Steel Braided High Pressure Hose: Lets you clean further without moving the unit. 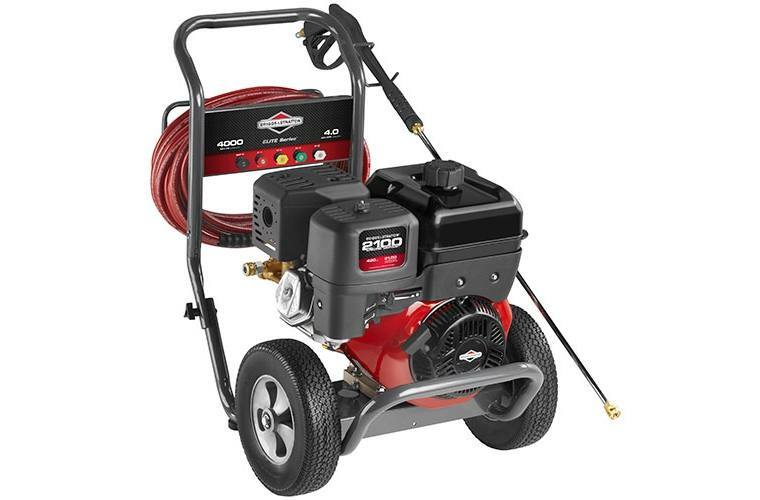 Briggs & Stratton 2100 Series™ OHV Engine (420cc): This top-of-the-line engine is heavy-duty, easy starting, fuel-efficient, and features Overhead Valve (OHV) technology to run cooler and last longer: it’s serious power for serious cleaning.